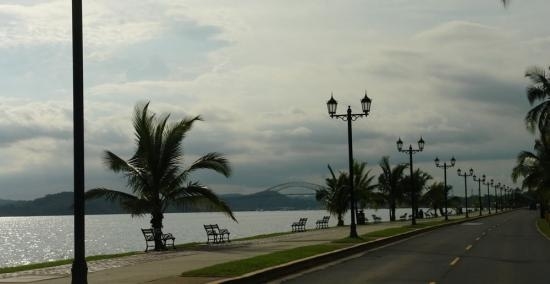 The location of Amador Heights within Panama City, Panama is ideal. Set at the entrance of the scenic Amador Causeway, our building is nicely located outside the dense downtown area. Take a leisurely walk or bike ride down the Causeway and you'll find dozens of restaurants, the Smithsonian Marine Institute, the Frank Gehry Museum of Biodiversity (under construction), a number of marina, and the popular Figali convention center. This 5th floor home features an open and spacious floor plan with views of the Bay of Panama and Casco Viego. High-end stainless steel refrigerator and freezer, dishwasher, stove, oven and microwave.